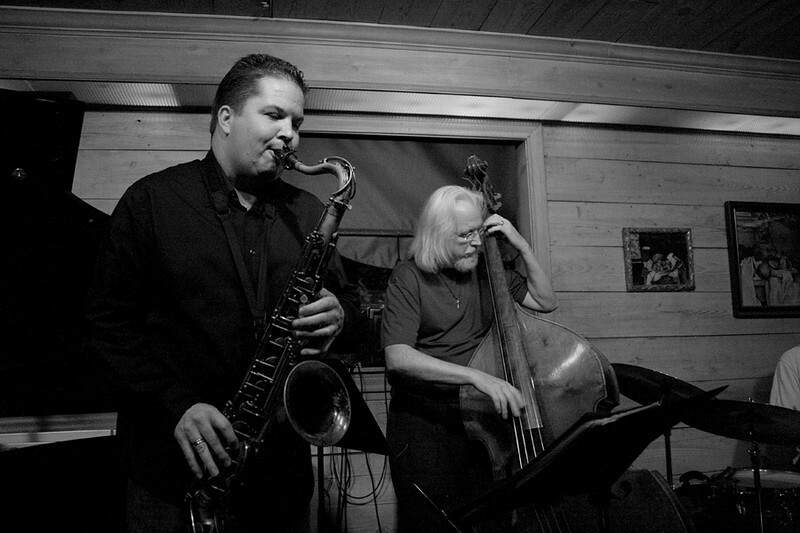 Celebrating the release of their new CD "Live at Cezanne's" recorded last August, Woody Witt plays with Joe LoCascio, Fred Hamilton, and Ed Soph. The evening also introduced some new materials for Woody's next CD (a trio with Fred and Soph) already in recording process with Blue Bamboo Music. In addition to the new CD, a photo companion book "Live at Cezanne", a photo-documentary of the recording week, is now available for sale at http://www.lulu.com/forestphoto .